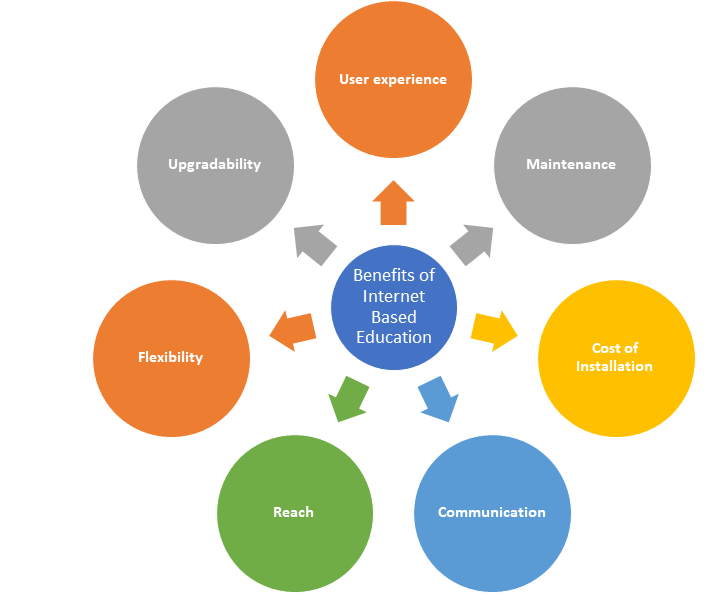 User experience: For a VSAT based environment the educator needs to set up a VSAT system which includes the learning center, Hub Earth Station, a broadcast studio for the teachers to conduct classes, dish antenna above every classroom, the server for data storage and some more technical equipment. This makes the entire system a bit complicated for a newly introduced teacher to have good hands over. Whereas, an Internet-based virtual class needs just a laptop/desktop and an internet connection (which can be further inter-operable between various other devices such as Android, iPad, mobile phone, etc.). This gives a more user-friendly experience among the teachers. Maintenance: As the number of equipment involved in the setup increases their maintenance and cost of maintenance does increase too. An internet-based system is cost-effective in terms of maintenance and replacement of the components. Cost of Installation: Initial cost of installation of a VSAT system is much higher as compared to the one on internet based. It requires every classroom and the studio to be equipped with the dish antenna and another supporting system specific hardware to function. The subscription of the services is also fixed which cannot be altered subsequently. An internet-based installation provides flexibility in choosing the subscription of the services and number of hardware depending on the size of the business. Communication: A VSAT based platform involves one-way communication, i.e. the students can only view and listen to the lecture delivered. Whereas an internet-based virtual class enables two-way communication i.e. the students and teachers can interact audio-visually in real time. Reach: A VSAT based environment requires the students and the lecturers at the classroom and the studio respectively. 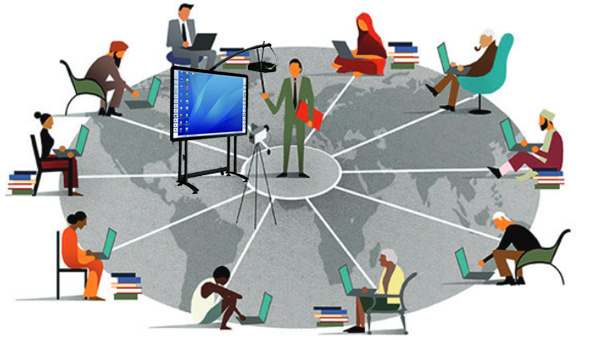 Whereas an internet-based virtual class has no constraints of location and device used. One can also attend a class while away from the classroom. This too benefits the rights of education to the physically impaired students. Flexibility: A internet-based virtual class is more flexible as compared to a VSAT setup. A VSAT based classroom requires specific and compatible devices. The software involved in the internet-based system can be used in a variety of devices which includes Android, iPhone, laptops, TVs, mobile devices, etc. This provides flexibility in the selection of the hardware setup of the complete system. Thus, it can be concluded that an internet-based virtual classroom comes with ease of use and cost-effective benefits in the long run.